I thought I'd start a new thread covering my attempt to build a layout of Hadley Wood station. Firstly, please don't expect lightening progress on this (the boards haven't been built yet!) but I've wanted to start this thread for some time. I've built and abandoned several layouts over the last few years as none seemed to satisfy me. It was a visit to (and operating) Tony Wright's 4mm scale 'Little Bytham' layout with RoyLS and a couple of friends that finally convinced me that the problem was that I was trying to pack too much into my designs, that they were becoming unrealistic and that modelling an actual prototype would be more fulfilling for me. I looked at several prototypes for the basis of this layout but all my initial preferences exceeded the available room of 12' by quite a way - Hitchin would have been my first choice but I'd have needed 20' to do it justice! Feeling a little down that I might not be able to model a prototypical location after all, I remembered Hadley Wood. For those who don't know the station, it is a compact station on the ECML flanked at either end by tunnels (approximate 416m apart or 9'3 in N gauge!) with New Barnet to the south and Potters Bar to the north. The tunnels proved to be a bit of a headache to both the GNR and LNER as it force the line to narrow from a quadruple to double stretch of mainline - this was a major bottleneck on the system that wasn't quadrupled until the late 1950s. As I'm modelling the 1930's it'll be an intensively worked bit of line. Up until the quadrupling work, a small goods yard of two sidings and a head shunt was provided. 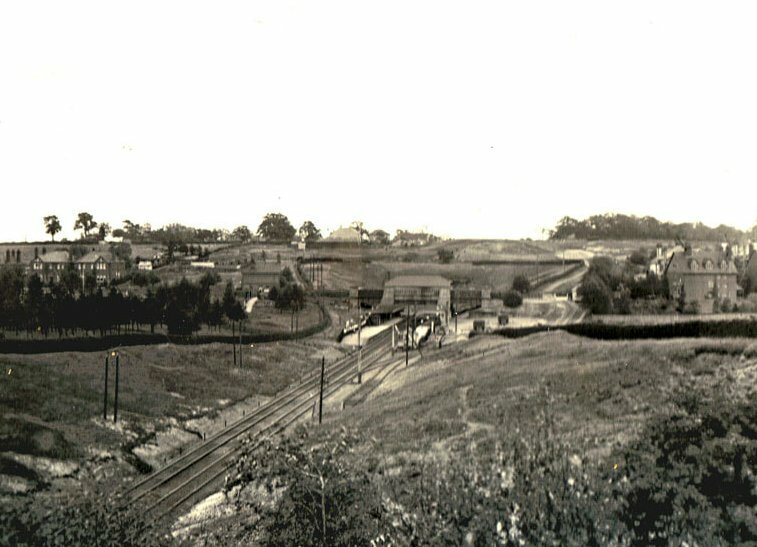 Originally, the sidings were put in place (1885) to allow the delivery of building materials for local housing - part of an agreement reached between the GNR and a local property developer to build the station in the first place (the developer had to pay a rent/fee to the GNR until a certain number of properties had been build and inhabited). Following the completion of the housing, the sidings were turned over for coal and general goods (hay being something Hadley Wood apparently had in abundance). The station also had an historic railway figure attached to it for a time. None other than Herbert Nigel Gresley lived in Hadley Wood (until the late 1920's) and used the station to commute in and out of Kings Cross (and wherever else he was needed)! A plaque was installed at the station a few years ago to commemorate this. Unfortunately, the quadrupling work and later electrification forced the removal of most of the old station and today only the staircases to the platforms survive. However, the drawings for the station building are held at Kew Gardens and several photographs of it have started surfacing. Anyway, enough of my waffling. Although I've not yet built the baseboards, I have built the most complex bit of track needed for the scenic section and will leave you with that for now! That looks to be an ideal location to model, Steve. You'll get all the fun of the former GNR main line with a moderately-sized station. 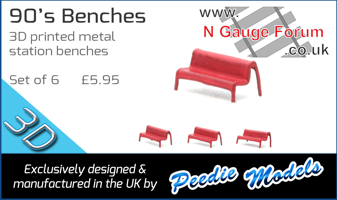 Often the 'less is more' adage seems particularly applicable to model railways. Many thanks for including the OS map, showing that the track layout is pretty much the same as I ended up with on my layout (apart from it having a bay platform on the opposite side to the yard) which is nice to know. Best wishes for your project and I'll be watching progress with keen interest. I would say the name 'Hadley Wood' resonates with many a gricer, especially those of an LNER bent. Don't take too long, though, Steve. Looks like it's going to be a great project! Thank you for your kind words of support and encouragement. I'll try not to disappoint! To give a flavour of the kind of locomotives that will be running through Hadley Wood, below is a table outlining the classes found at Kings Cross one day in 1935. Most of these were GNR or LNER built locomotives but it is interesting to see GER classes J69 and N7 shedded at 'Top Shed' as well. In addition, GCR classes such as the Sam Fays (B2), Lord Farringtons (B3), Directors (D11) and Jersey Lilies (C4) could be found hauling trains out of Kings Cross and passing through Hadley Wood at various points of the LNER's existence. Also, the Claud Hamiltons (D15-D16) could also be found working trains, usually the Cambridge beers trains. Ravens A2s made appearances although they were rare by the mid 1930s (and withdrawn shortly after). 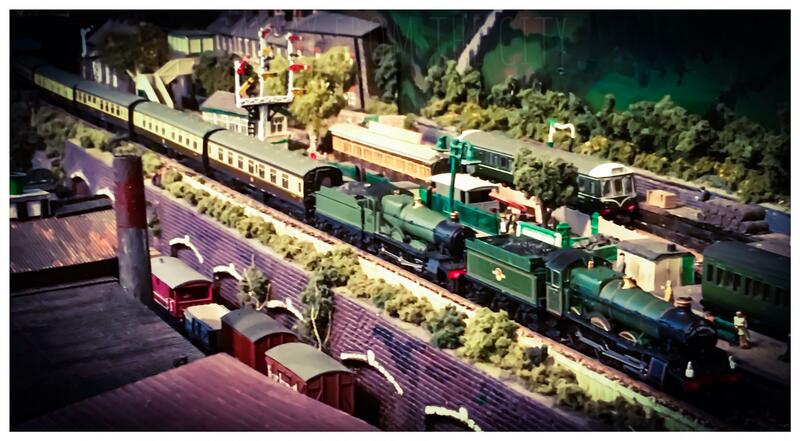 As can been seen, there was a lot of variety in the motive power that would have travelled through Hadley Wood. Unfortunately out of the main list, only the A3s and A4s are catered for by rtr items. The B17s and J39s may have made an occasional appearance but they would have been rare indeed. The Peppercorn A1s and A2s along with the Thompson B1s hadn't even been thought of during the period I'm modelling. Rolling stock isn't much better as over half the passenger stock during the period with have been of pre-grouping (predominately GNR) designs. The Minitrix and Dapol Gresley's are very helpful but only a small part of what would have been seen on a daily basis. The second is a 1950's photograph I purchased from eBay. By this time the goods sidings had been lifted ready for the work to start on quadrupling the line but the signal box still remained. What an interesting list, Steve. I wonder how many hours this 'day' included. If it was from enthusiast sightings it might not have been 24 and some of the goods classes might be under-represented because of night-time workings. Also interesting is whether these figures included multiple sightings of the same locomotive. I understand that one 'A4' usually worked the Up and Down Silver Jubilee. The 'A4' sighting is helpful as it points to the day being Oct - Dec that year, unless it was the first train on 30 September or the press demonstration train on 27 September. Or, of course. a test working or similar. And thank you for the photographs. Sorry, the list is a tally of locomotives found shedded at Kings Cross that day - I should have phrased that better (slaps wrist!). Your comments have thrown up an anomaly which I should have seen but never have (I've had this list for twenty years plus)! The list is dated 5th March 1935, so how could an A4 (Quicksilver) be found at Top Shed?! I think it is more likely that this tally was taken in 1936 when the four original A4s were in service but the next batch was still 9 months away. However, you are quite right to point out that this doesn't account for if this was taken at a specific point in the day or indicative of the locomotives assigned to the shed. Regarding the humble 0-6-0T locomotives, I would've have thought that very few of them would have been seen at Hadley Wood as they would have been mainly used as shunting locomotives at Kings Cross goods as well as the transfer trips via the widened lines. However, I know the J52s did do some local trip workings so one or two will be justified I think. I'll be (finally) joining the LNER Society at the end of June (to get a full years membership) as I've found that they have a working timetable for the area dated 1938. Figuring out what I would like to represent from this will be an interesting challenge as there is no way I'll ever be able to replicate a whole day's workings! I've roughed out the basic layout plan. The scenic side will be replaced by a printed version of the map as XtrackCAD won't allow me to import it. Unfortunately, it looks unlikely that I will be able to model anything outside of the railway's boundaries which is a shame as I would have liked to have included the 'Railway Tavern' just to the east of the bridge. Some revisions will be required to account for board joints but basically every storage road can be accessed from the main lines. I've employed kickback sidings to increase the number (and length) of roads available and the turntable will allow hands free movement/replacement of locos to maximise variations in formations. I foresee that I'll have to use some mirrors, angled above the fiddle yard to see what is going on over the backscene. I foresee that I'll have to use some mirrors, angled above the fiddle yard to see what is going on over the backscene. What a spiffing idea, Steve! I think that you are right about it being 1936 rather than 1935. A handwritten 5 and 6 can be easily confused! 2510 was not in Works on 5 March 1936. She was also allocated to KX for most of 1936, going to Gateshead on 15 December (back at KX 26/1/1937), presumably to cover for 2511 which was in Works for a General at that time. All this supports your idea. Thank you for the track plan. Such extensive storage sidings will allow you to have a fantastic parade of trains through your 1:148 Hadley Wood. I look forward to seeing them. Hopefully with at least one of the mighty 'P1' class - British railways' second 2-8-2 type as I recall. I’m looking forward to seeing this build. What I know about the LNER is very limited but this should be very interesting. What can I say, great minds think alike Mick! That makes a lot of sense John and I think that's the story we'll stick to! The storage sidings will provide a nice selection of motive power and stock but it'll still be a tiny fraction of what would have passed through each day. There will be a lot of stock to build in the future to fill the storage room I'm planning, that's for sure! Both the P1 and P2 are on my list of locomotives to build. The P2s were Scottish locos but they all ended up at Kings Cross at one time or another. 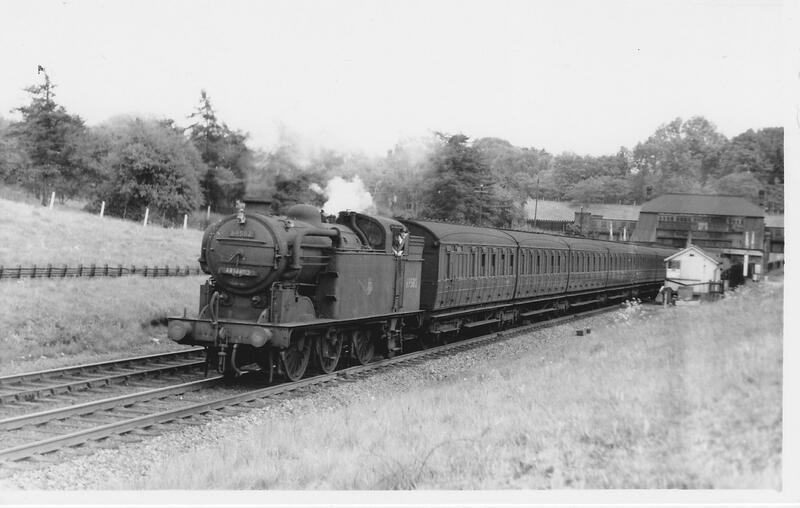 See the link for a picture of Earl Marischal heading south through Hadley Wood in 1934. Thanks Port Perran! I've been fascinated with the LNER for as long as I can remember. I think the biggest enticement for me is the extremes of the locomotives and stock. On the one hand the LNER were often at the forefront of development and innovation (not always successfully I might add) but at the same time cash strapped. It makes interesting contrasts to see an A4 passing something that was built at the turn of the century. The first compromise (but I doubt the last), I think I'll get away with this and the important thing for me is that the distance between the tunnels is still to scale.